Tailings consolidation and discharging technology is currently a popular means for disposing tailings in China. 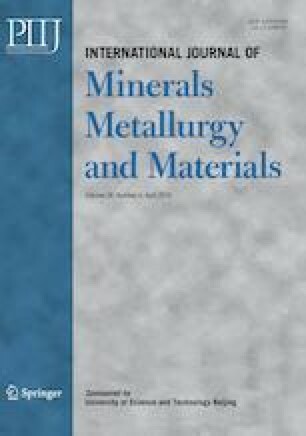 In this study, we describe a laboratory investigation of the unclassified tailings slurry from an iron mine and analyze the influence of the concentration, amount of consolidation agent, and types of consolidation agent on the pumpability in terms of the slump, slump flow, and bleeding rate of the slurry. The results indicate that an increase in concentration leads to a pronounced decrease in the magnitude of the slump, slump flow, and the bleeding rate. Compared with the consolidation agents P.O42.5 and P.S.A32.5, the new consolidation agent offers substantial advantages in promoting the pumping performance of the slurry. The concentration more strongly affects the slump, slump flow, and the bleeding rate of the slurry than does the amount of the consolidation agent. We also constructed the pumpability interval of the slurry on the basis of the slump and bleeding rate and accordingly determined the proportioning parameters of the slurry with a concentration of 75wt% to 79wt% and with a consolidation agent concentration of 2wt%. In addition, we discussed the pumpability mechanism of the slurry. This work was financially supported by the Fundamental Research Funds for the Central Universities of China (No. FRF-TP-16-073A1), the State Key Research Development Program of China (Nos. 2017YFC0804103 and 2016YFC0600801), and the National Key Basic Research Program of China (973 Program) (No. 2015CB060200).